Cisco launched their intent-based networking initiative about two years ago now and have taken the market by storm with the revamped vision of the network of the future. Programmability is at the core, and simple function with a GUI driven architecture through DNA Center powers the way. The latest rollout is to extend the intent-based networking concept to smaller networks and further enhance the Cat9K’s capability to run a seamless wired and wireless network. Cisco has the most widely deployed controller in the industry. But, even experienced wireless engineers found some things daunting. Do we need tiered controllers? What size restriction are we planning for growth? Where am I going to put a controller for this location? Therefore, embedded integration into a branch site or through a cloud controller solves the last one. Then, ease of functionality and integration into advanced programmability was not where it could have been due to restrictions of some APIs helps solve others. 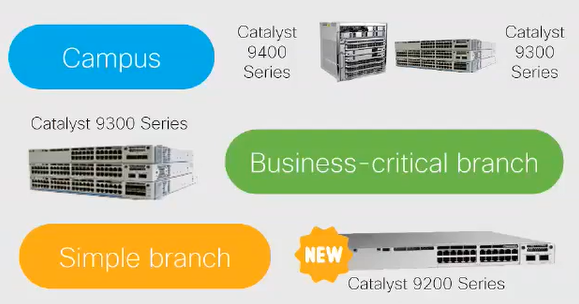 Now, all of these have been addressed as Cisco continues to deliver on the approach for a seamless architecture between wired and wireless. The network is evolving, how you manage it should too. Any amount of time spent looking at industry trends show the branch is explosive these days! Why? Cloud-based applications and resources. Your users are at the branch, and their access requirements aren’t just taking new roads (more internet) they’re consuming more bandwidth along with it. The branch is no longer a desire to update but a necessity. Every bit of downtime at your branch is a loss of productivity, more now than it used to be. Along with the explosiveness of use, there are even more factors to consider – security. Your branch should be secure, and with DNA Center’s policy-based segmentation you can provide the same security wrap around you expect in today’s climate. At Quaversal, we believe in Cisco’s strategy because we’ve seen it in action and it aligns with our own goals. We seek to improve customer’s automation portfolio from the tiniest of steps to full stack automation. Then, we want to ensure that every aspect of your environment is enveloped in a security posture that not only protects you but alerts and is proactive when the need arises. Notice, I didn’t say ‘if’ the need arises, security is not a matter of ‘if’ it is one of ‘when’! Lastly, we deserve more from our infrastructure. Most of you are reading this have an app on your phone or device on your wrist that performs analytics of you – from working out, to steps, to caloric intake to hit your goals. Shouldn’t your investment in infrastructure do the same? Therefore, we aim to encase analytics into our customers which provides business data that is more than just netflow. The who and most importantly the, why of your traffic is, is essential to everyone from IT, to marketing, to application developers, and more. Interested in taking this journey together? Great, let us begin. Images copyright Cisco Systems Inc.